A rousing and fiercely varied hour, Jamie Demetriou’s ludicrously entertaining debut Fringe hour presents four characters who, whilst unified by their penchant for self-hatred and Arsenal shorts, display wildly different comic styles. Opening the show is Kern, who’s quick to assert that he hasn’t been crying backstage; his motto, after all, is ‘don’t get high off your own supply. And by high, I mean hydrated.’ His accent warbling between North London and Greece, he explains that he’d booked the the month-long run under the assumption it was singing gig, the resulting revelation causing him to run to Fife in a fir of panic and purchase a troublingly cryptic slogan T-shirt. He does his best to deliver some gags, Demetriou eking a lot of laughs from a disastrous bout of standup. It’s when he does sing that this character comes alive, sectioning out the crowd for backing vocals (Life – what is it? Crazy) and rapping a verse almost inaudibly. Kern’s clumsy affability is a mere memory as a silver-wigged nanny takes to the stage, prone to flashbacks of cruelty inflicted on past charges and fits of hoarse-throated shouting, despite the comic’s bout of laryngitis. Although inhabiting a narrower comic world than his other characters and more than a little reminiscent of Noel Fielding’s The Hitcher, it’s a bewildering shift in pace and tone (not to mention volume). The disquietingly odd atmosphere that builds throughout this section of the show, helped by an effective soundtrack, is quite something. Demetriou’s most natural performance arrives when he plays a tunic-sporting young choir boy, forced by devious peers to deliver explicit lyrics by which he fears make him ‘sound like an American rap man’. The show starts to lose focus during washed-up lounge entertainer Michael Eggwater’s visit, perhaps due to the comic presumably painfully banging his foot against a prop, but is rescued by spoken-word setpieces and circuitous games of Chinese whispers and musical chairs with an audience member. His assertion that his estranged daughter is in the audience also proves a fruitful comic device. This is a confident production staged by the ever impressive The Invisible Dot, Demetriou’s costume changes filled with conversations between the various lights an lamps on the set. The comic proves himself a dexterous performer, with the self-assurance to deliver a sustained, deeply idiosyncratic debut, and a singular comic experience. 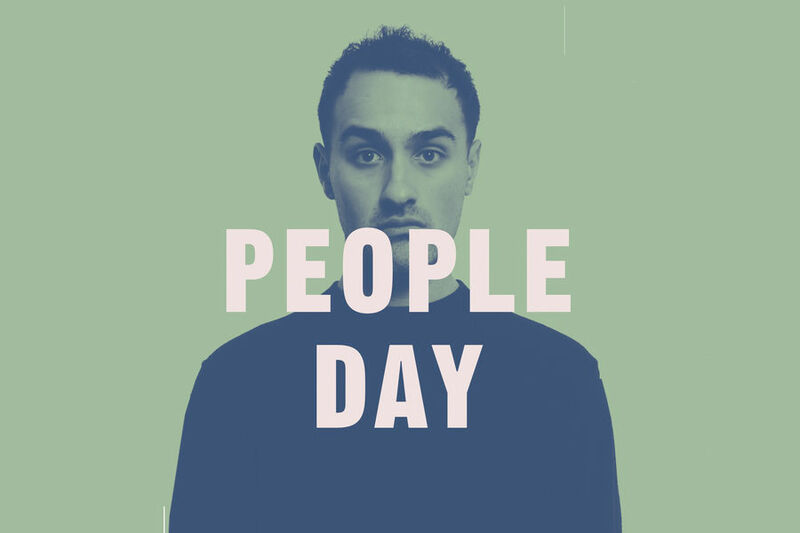 People Day continues at That, Pleasance Courtyard until 26th August. Check out Jamie Demetriou’s Comedy Blaps for Channel Four. This entry was posted in ★★★★☆ (4), Comedy, Live and tagged Comedy, edinburgh fringe, featured, Festival, jamie demetriou, people day, the invisible dot. Bookmark the permalink.